Item # 317231 Stash Points: 2,495 (?) This is the number of points you get in The Zumiez Stash for purchasing this item. Stash points are redeemable for exclusive rewards only available to Zumiez Stash members. To redeem your points check out the rewards catalog on thestash.zumiez.com. Add some color and wavy vibes to your look with the Too Wavy Black T-Shirt from Artist Collective. 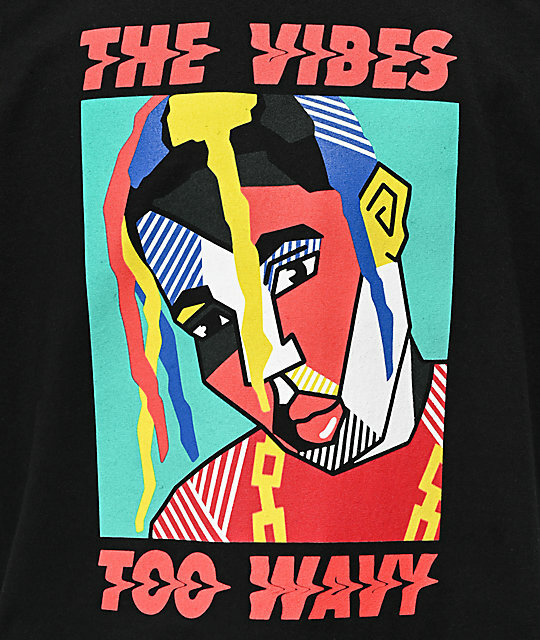 This black tee features a colorful pop-art-inspired graphic of your favorite rapper, along with wavy text that reads "The Vibes Too Wavy." 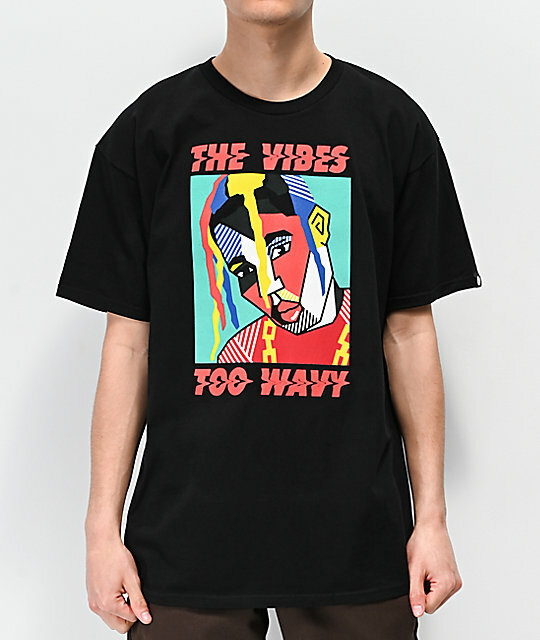 Too Wavy Black T-Shirt from Artist Collective.